After weeks of railing against online shopping giant Amazon, President Donald Trump signed an executive order Thursday, April 12, 2018, creating a task force to study the United States Postal System. President Donald Trump, who has assailed Amazon.com and falsely accused the online retail giant of cheating the U.S. 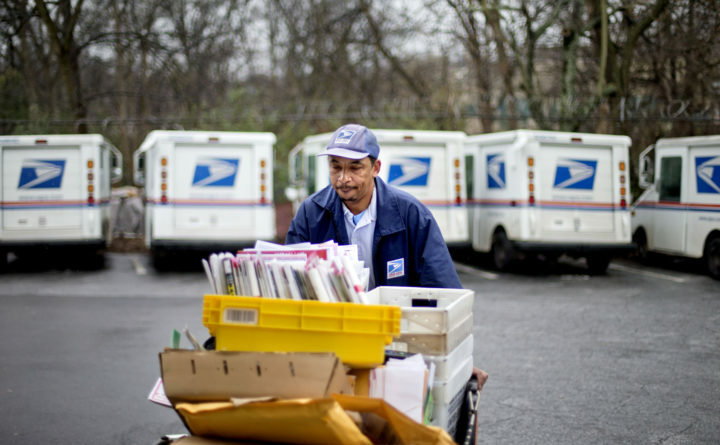 Postal Service by taking advantage of bulk delivery rates, on Thursday night ordered a sweeping overhaul of the Postal Service’s business model. The order does not single out Amazon by name, but Trump has often railed against Amazon — in public and, more frequently, in private conversations with his advisers and friends — complaining about Jeff Bezos, the company’s billionaire founder and chief executive.